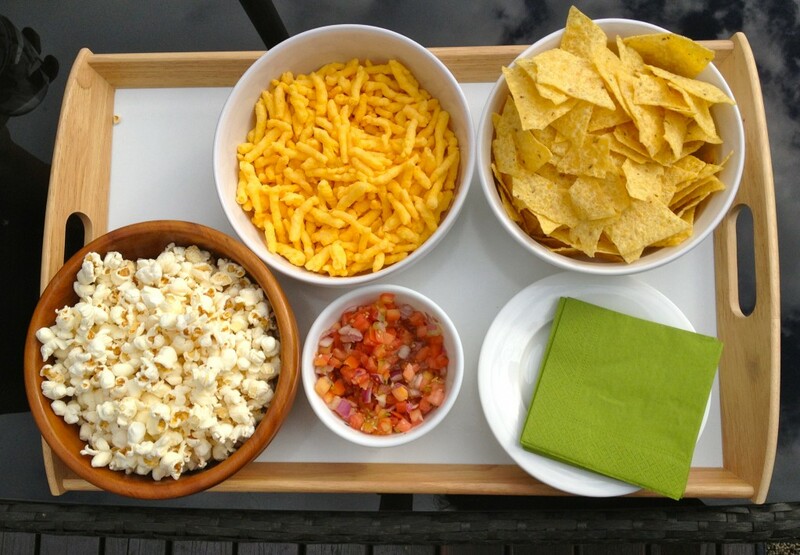 The snack platter to start us off, filled with popcorn, tortilla chips, salsa, and healthy Cheetos. 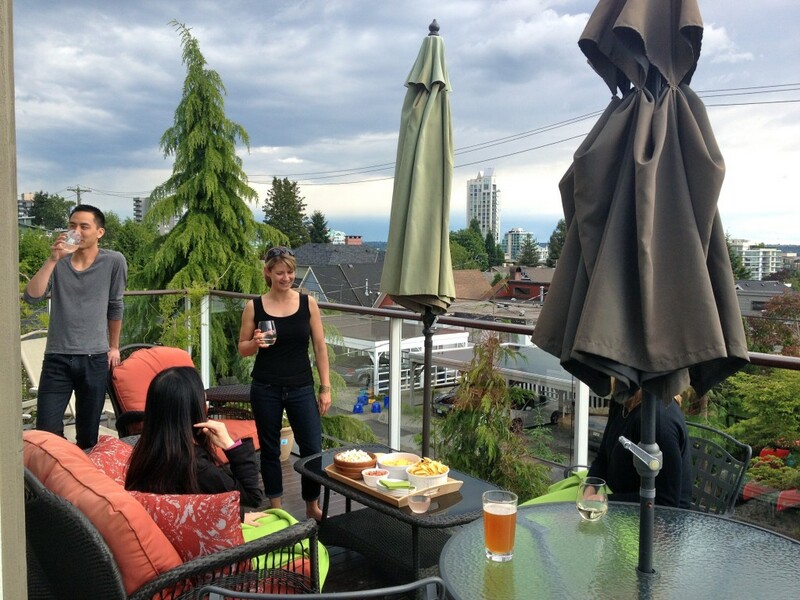 The Lux team relaxing on the patio. Despite the lack of sunshine, it didn’t rain on our parade. 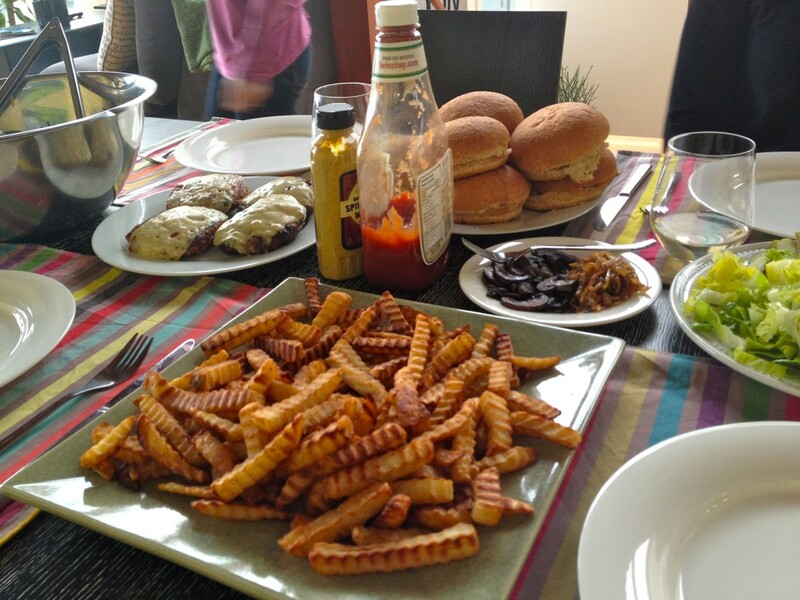 The hearty dinner with burgers (bison, chicken and lime and vegetarian), onion rings, fries, caramelized onions, sauteed mushrooms, salad — the list goes on and on. 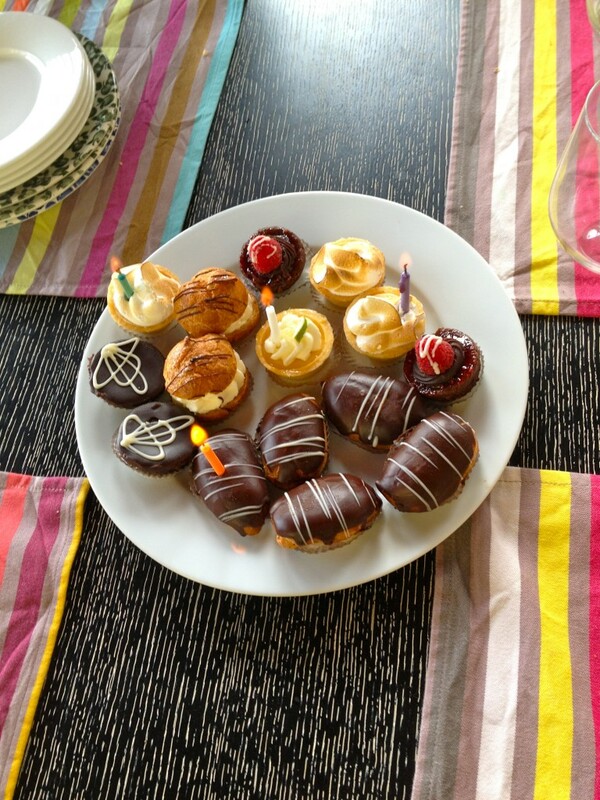 And of course, no celebration is complete without some desserts and sweets at the end.